If you shop at Target a lot, you can get $6 in gift cards (paid out in SB points) when you get approved for the Target REDCard. 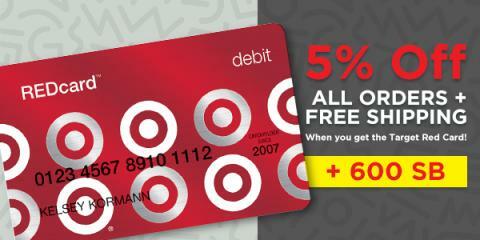 When you use that card, you also get 5% off, free shipping & 30 extra days for returns when you shop with your REDCard. 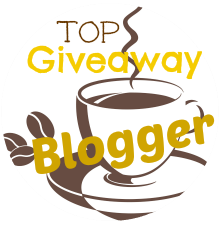 The 600 SB points will credit immediately! This is a limited time offer - to get the $6 bonus, you need to complete the offer before Saturday, October 22nd! Click here to get started. If you're already a Swagbucks member, be sure to use the same info that you have in your Swagbucks account when you apply. If you're not a member yet, sign up for Swagbucks using the link I gave you and when you complete the offer, you'll earn a $3 (300 SB) bonus that will be applied to your account in the beginning of November. That means you'll have at least $9 worth of SB points! Haven't heard of Swagbucks? It's a site where you earn points (called SB) for doing things you already do online, like shopping, watching videos, and discovering deals like this one. Then you turn those points into PayPal cash or gift cards from places like Target, Amazon, Walmart, Starbucks, and more!